Estonia has a long tradition of healing treatments, with many local resorts dating back for decades, if not centuries. Resorts have historically offered treatments to ease chronic illnesses and for boost the immune system, using local ingredients from the neighbouring landscape, such as mud, peat and herbs. In this article, we dig a bit deeper to explore what's special about these resorts and what to expect. Värska Spa in Setomaa is known for fresh water medicine, using mud deposits sourced from the bottom of Värska bay and mineral water pumped out or Värska. Fresh water baths are known to help in cases of joint and skin problems. Värska is also known in Estonia as a popular soft drink, stocked widely across the country. At Värska Resort, guests have access to unlimited amount of Värska mineral water for free and can soak in a jacuzzi filled with water sourced straight from the ground. The healing effect of treatments used in Värska Spa are scientifically proven. The resort town of Pärnu has a long history of spas offering holiday treatments. Today, guests flock to Estonia Medical Spa & Hotel offering more than hundred medical treatments, including heat and cold therapy, hydro and electrotherapy. Tervis Medical Spa is a local institution and Estonia's largest 3-star treatment spa. It's also a recipient of Green Key, a label granted to environmentally friendly hotels in Europe. Viiking Spa Hotel caters for families with it's sizeable water park as well as offers a range of traditional rehabilitation procedures for those looking to improve their health while on a family holiday. Some of the signature treatments to look for at Viiking Spa Hotel are vibro-acoustic chair, massage chair and health capsule. A bit smaller in size, Haapsalu is yet another traditional spa town in Estonia. One that even the composer Tchaikovsky once visited during his summer holiday. The healing traditions here stretch far and wide. Laine Medical Spa is perhaps best known among the older generation as the go-to place for medical treatments. Located right by the beach, the spa offers generous views across the Baltic Sea and is especially known for its mud baths. A slightly newer addition to the resort town is Fra Mare Thalasso Spa, located a short drive away from the spa. In addition to a lengthy treatment menu, the spa is also great for those looking to take long walks in the nearby forest and beach. Last but not least, Toila Spa is perhaps the most popular medical spa on the northern coast of Estonia. Located right next to the stunning Toila Oru Park and overlooking the sea, it's worth a visit just for the surrounding landscape alone. Toila Spa Hotel attracts visitors of all ages with health packages that includes procedures and an unlimited use of the pool, sauna, and gym. 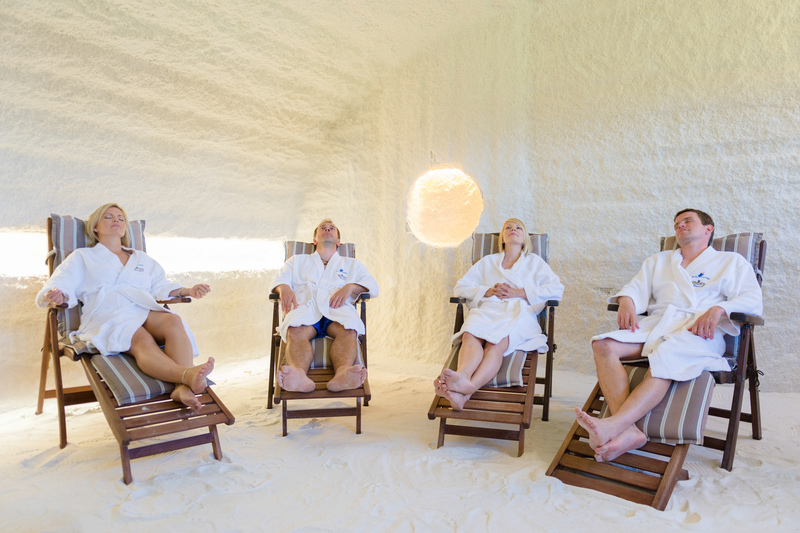 Read more about medical spa treatments in Estonia. Take a trip out of Tallinn and dedicate a week or more to your health with treatments that are based on doctors’ instructions.